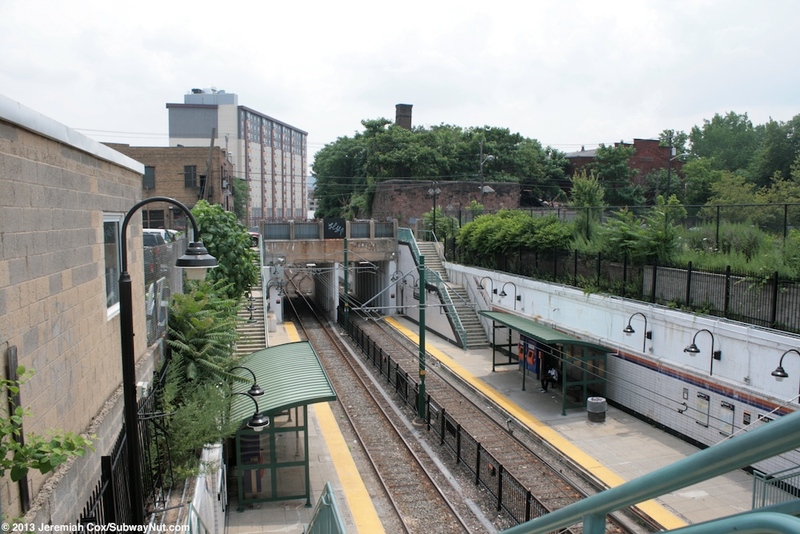 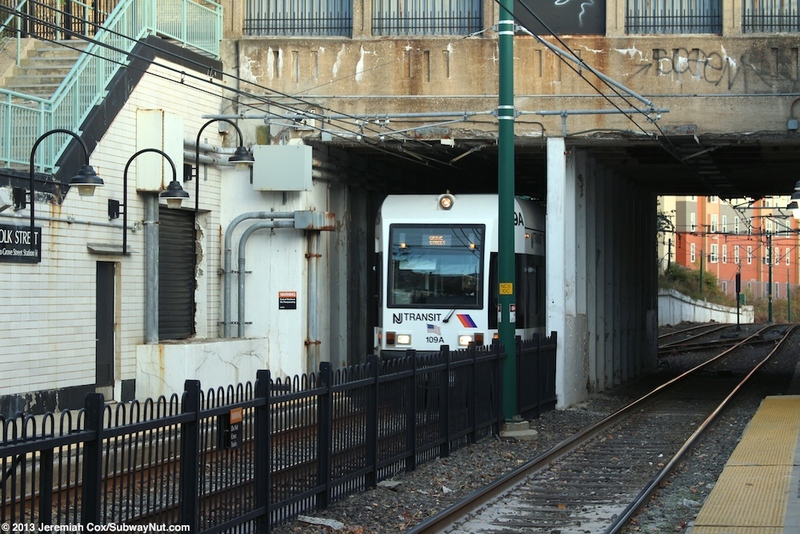 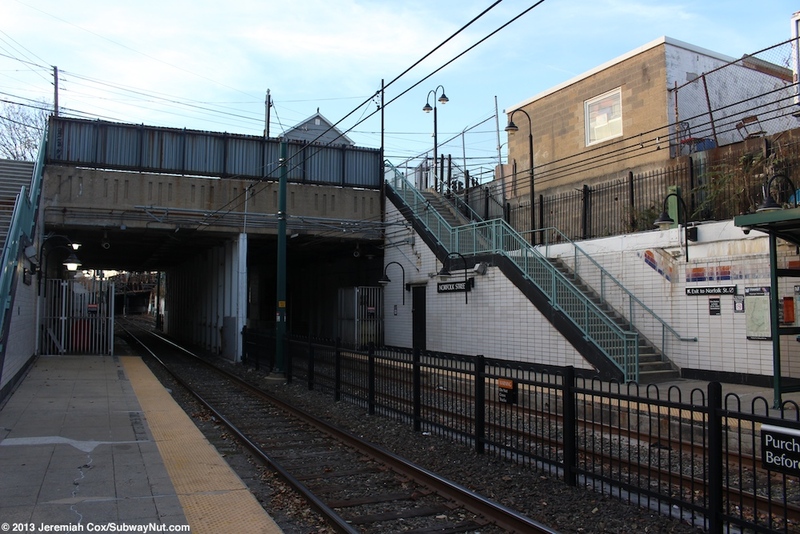 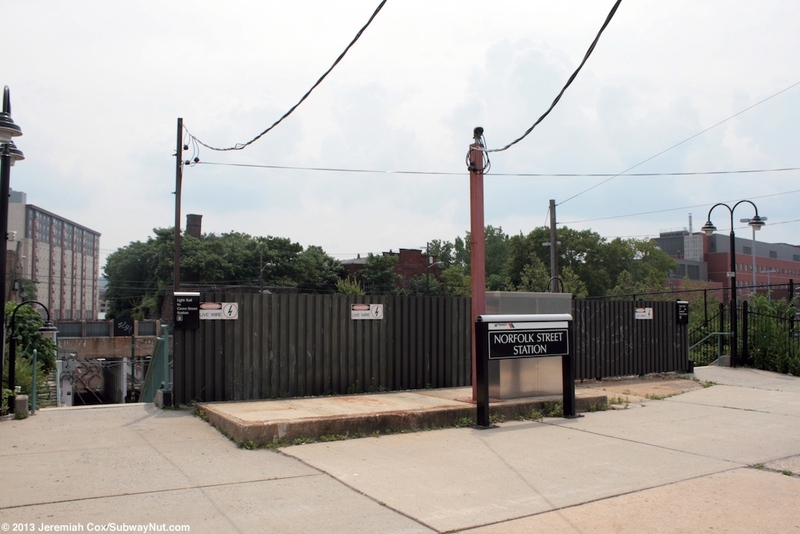 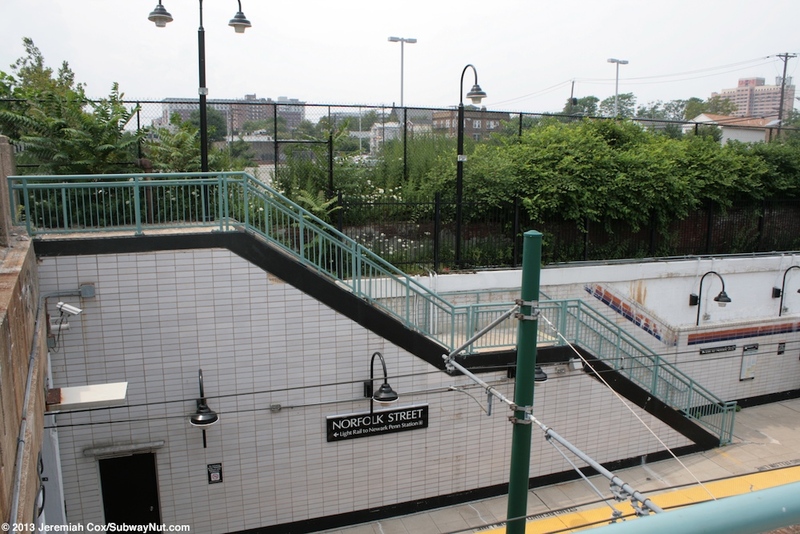 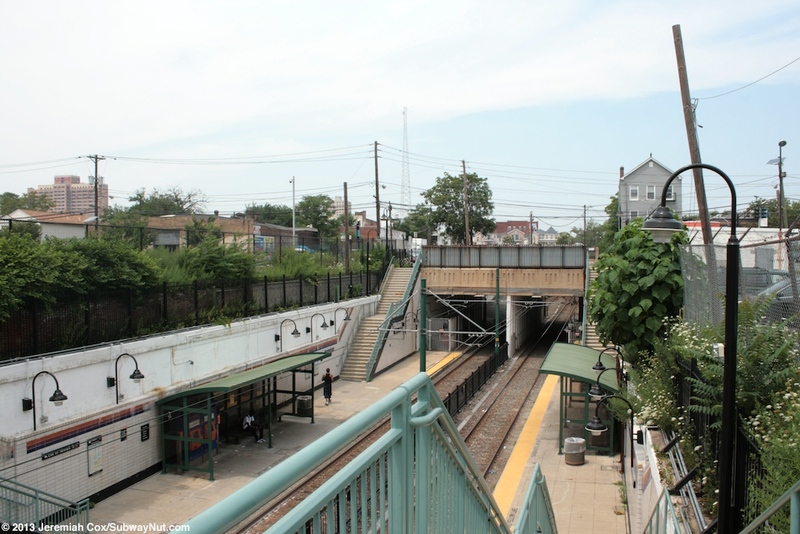 Norfolk Street is the first outdoor Newark City Subway Station (although the tunnel portal is much closer to Warren Street). 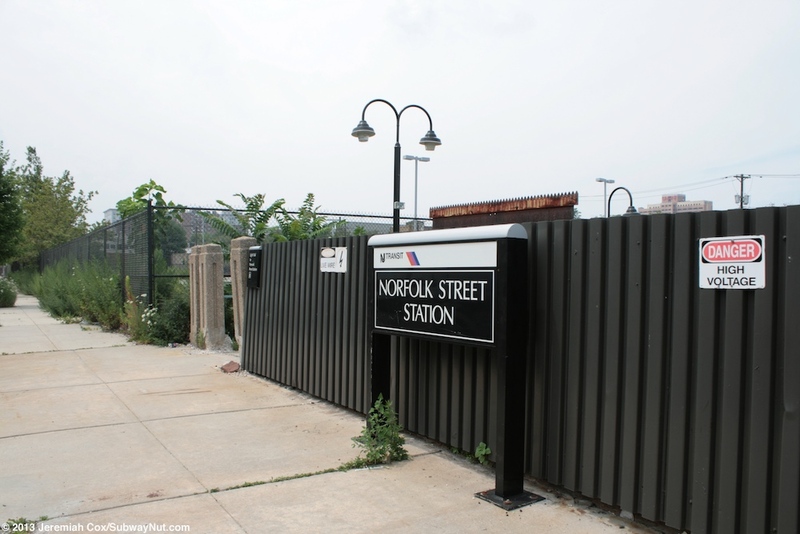 It is located in an open-cut between the overpasses of Norfolk Street (western end) and Newark Street just south of Central Avenue. 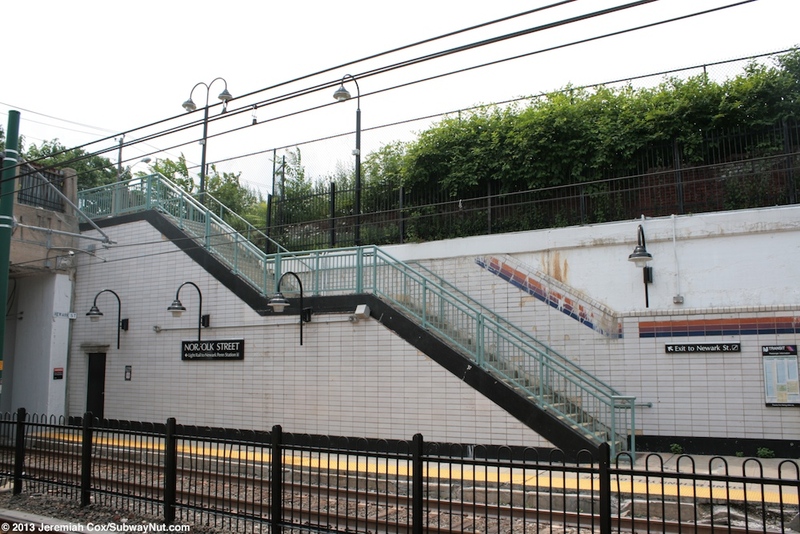 Each platform has two staircases down to it, one from each overpass bridge. 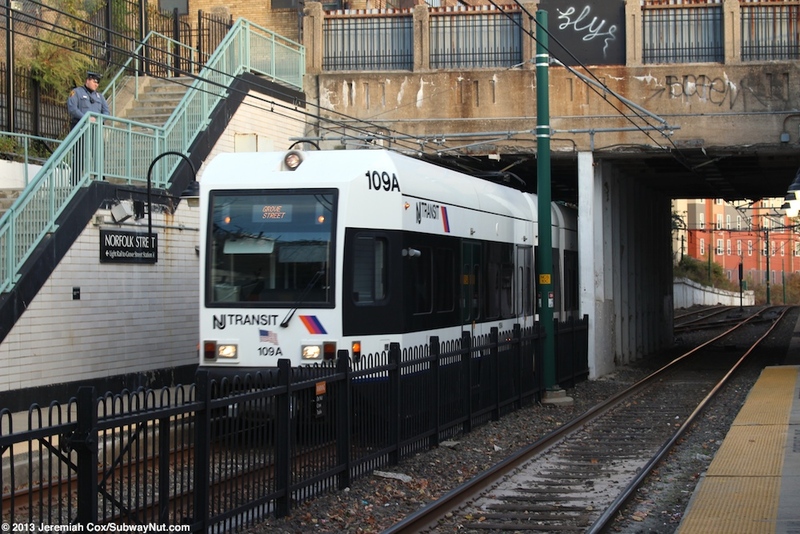 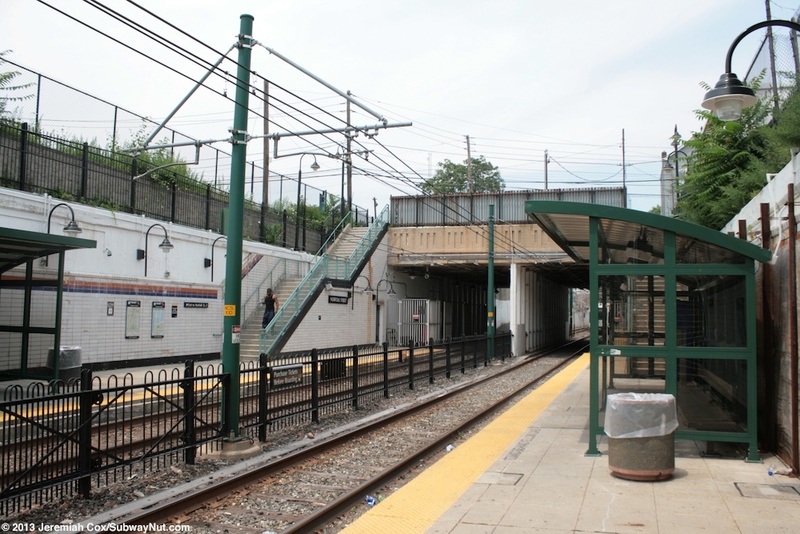 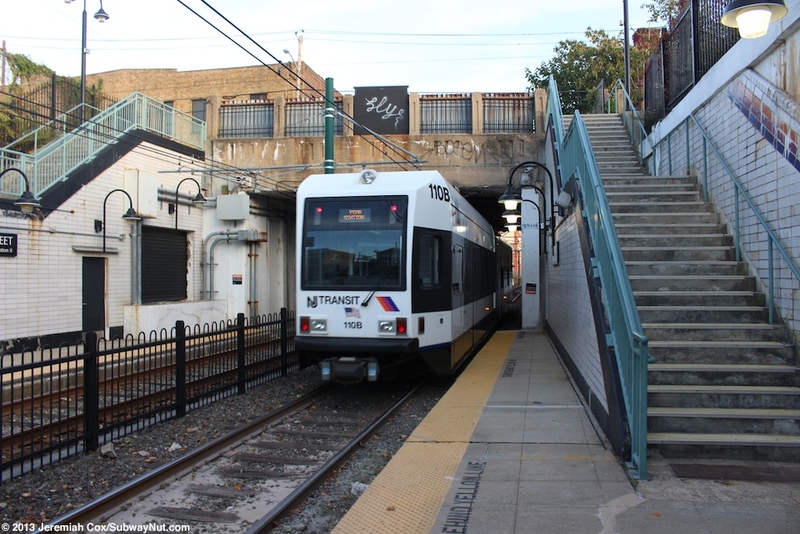 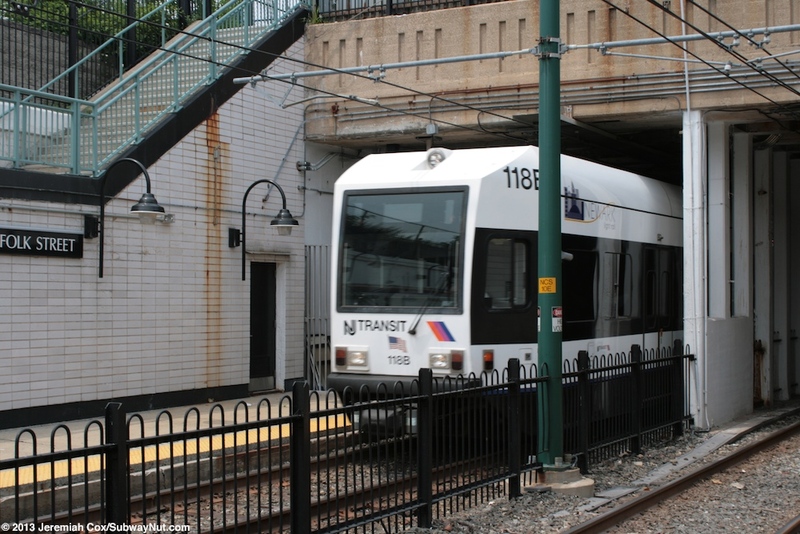 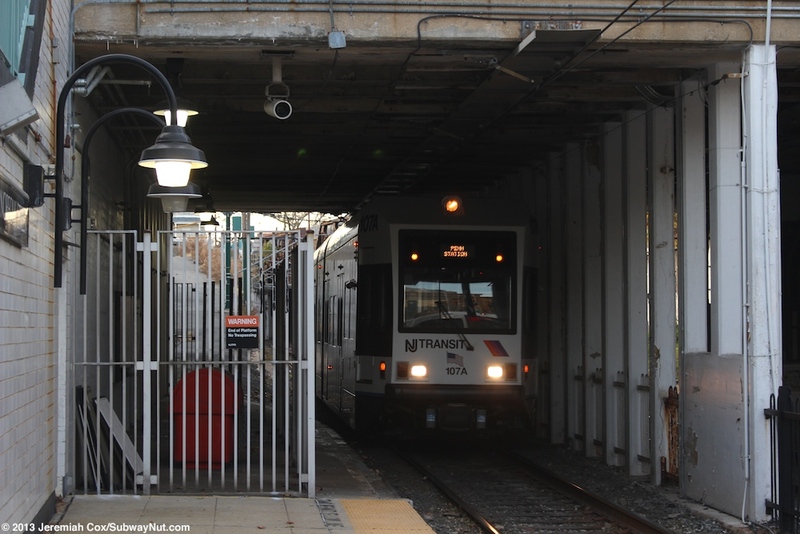 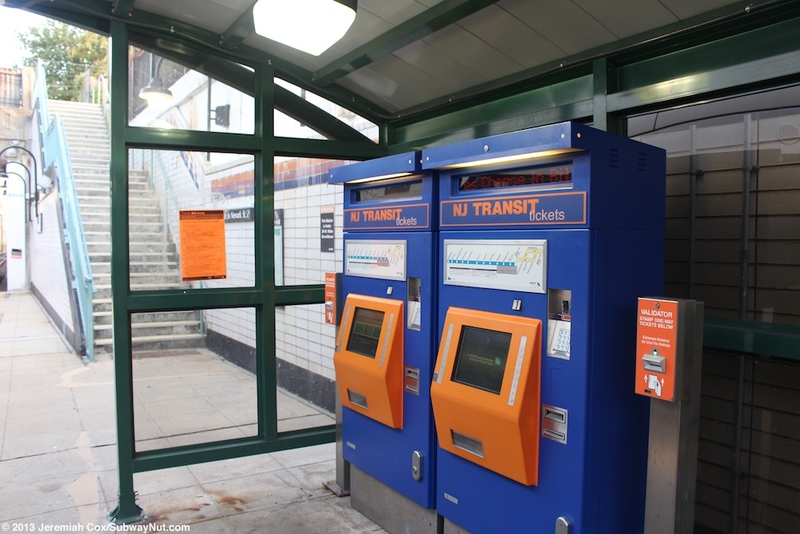 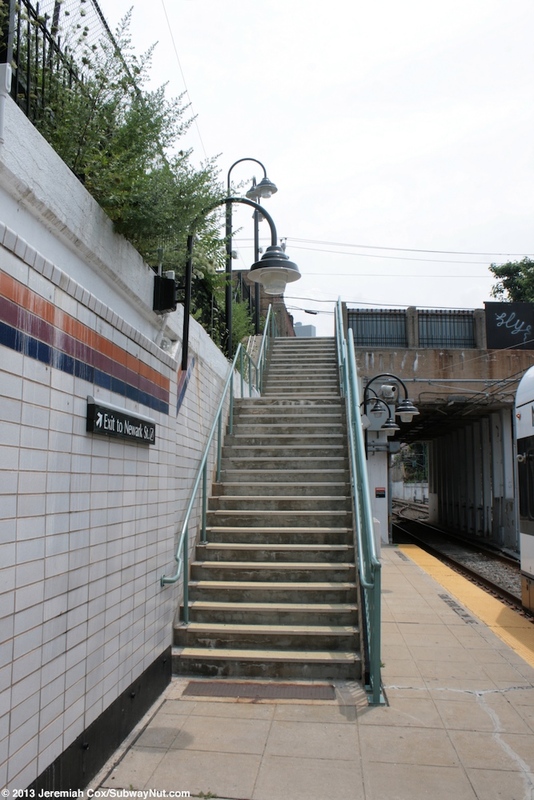 The platforms are both tiled white with the NJT orange, purple and blue trimlines. 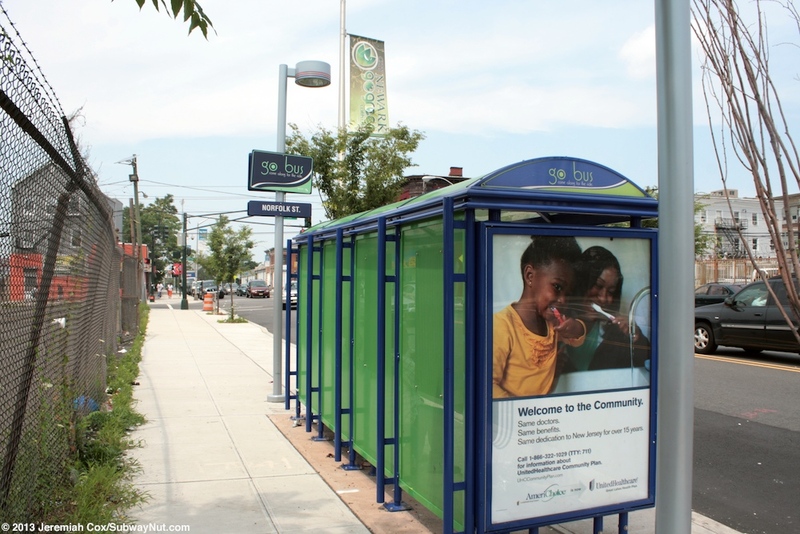 Amenities for waiting passengers is a single green wide shelter that covers a bench and TVM and the validators directly on each platform. 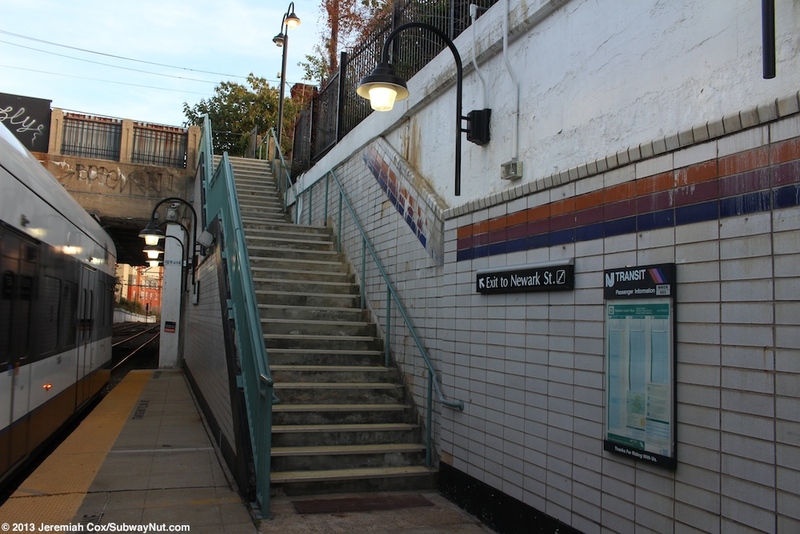 Exit staircase to Newark St.